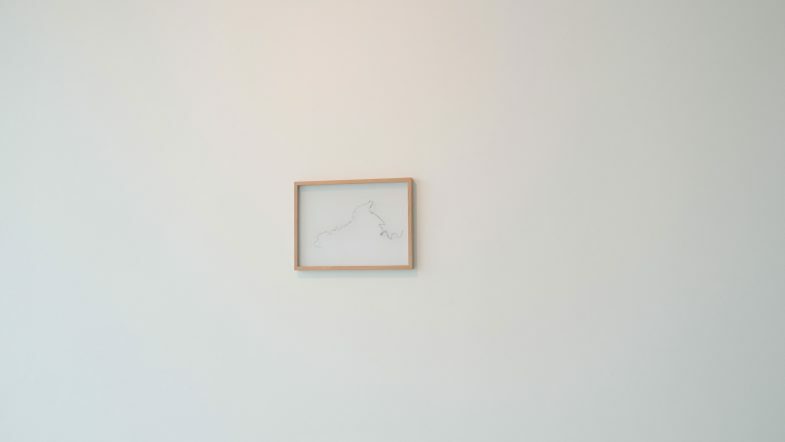 Lo que está junto a la orilla (What Is Next To The Shore) is the starting point assumed by Bárbara Palomino Ruiz in the development of her artistic residency in the framework of the collaboration between Orbital Residency, in Santander and Das weisse haus, in Vienna. 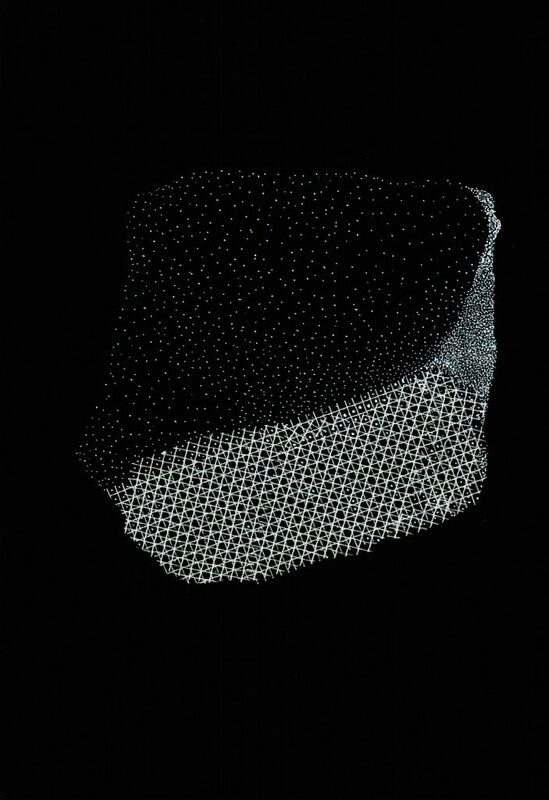 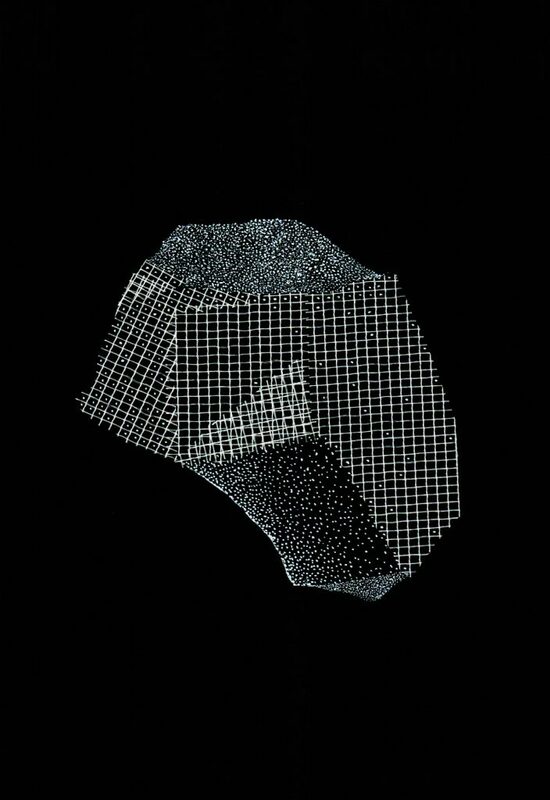 Barbara Palomino Ruiz’ oeuvre combines various audiovisual media, drawings and sculptural objects with a particular interest in textiles and the relationship between ancient and new technologies. 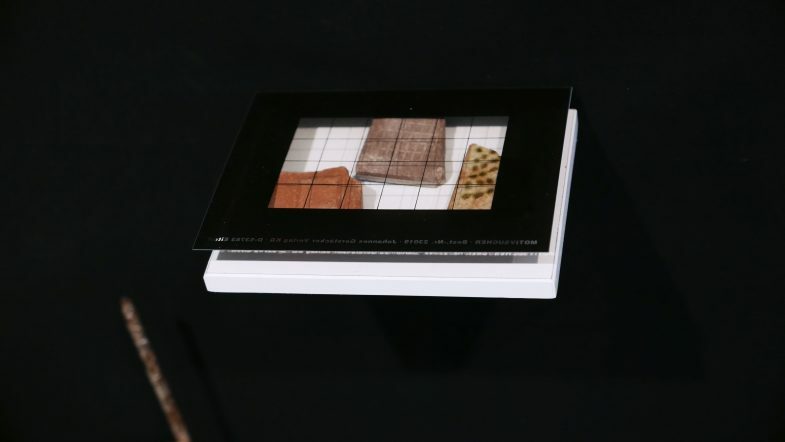 Inquiring about our technological heritage, textile and digital narratives, Palomino Ruiz’s artwork has furthermore became a research on the social production of memory, affective cartographies and fictitious aspects in the documentation of “reality”. 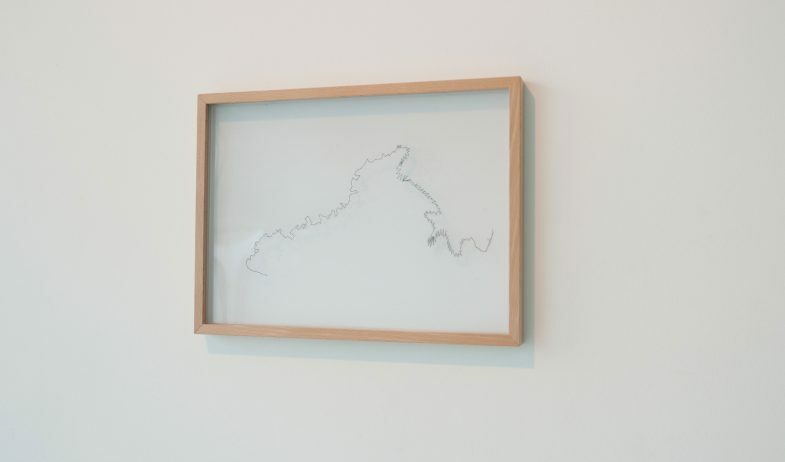 The project that the artist presents in this show encompasses some of the distinctive aspects of her previous works, but now focusing mainly on the exploration of the place where the residence takes place: Barcenilla de Piélagos, a Cantabrian municipality whose name literally translates as “a place next to a river or a shore “. 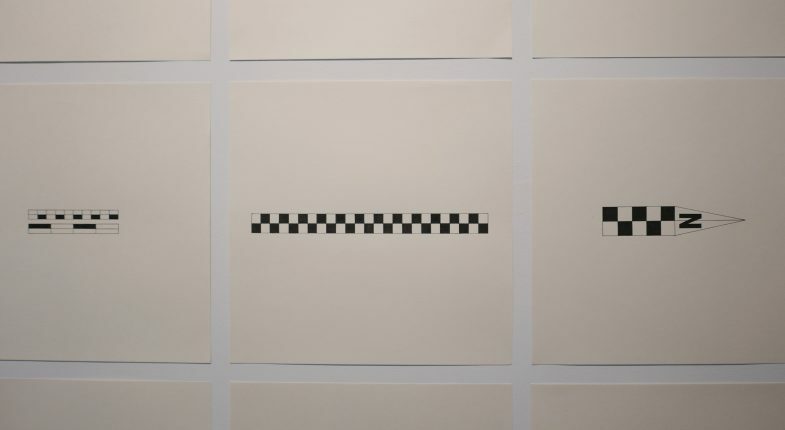 The observation of the environment itself led the artist towards a subjective and fragmented narrative, based on two key elements for the incubation of her project. 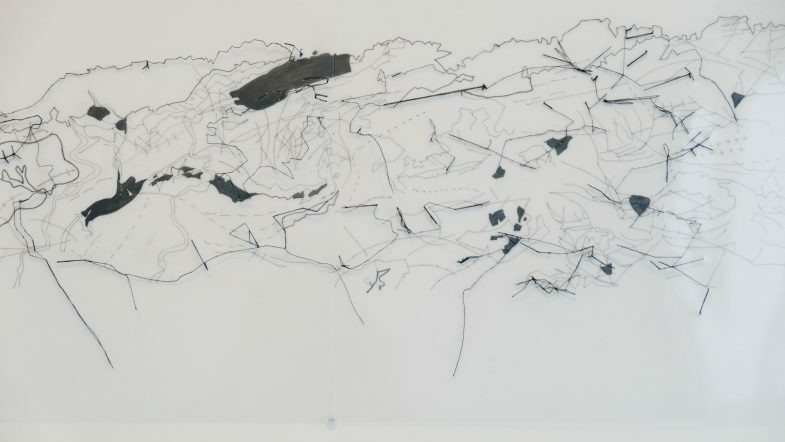 On the one hand, the localization of a panoramic prehistoric drawing made up with the digits and a semi abandoned archaeological survey -both found in the cave of El Pendo; on the other, the action of walking while trying to measure and delineate the contour of what is nearby, in this case the Pas River. 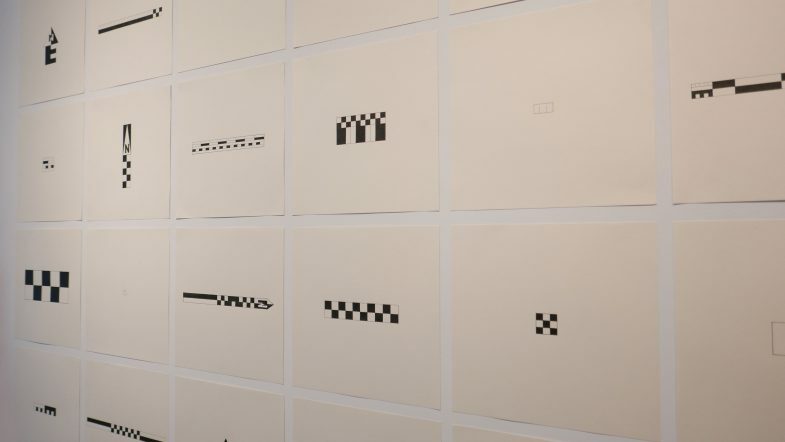 The first finding connects directly with the movement of our fingers, with the digital, the pre-cinema, the archaeological measurement tools, and also with one of the first representations of the individual itself: the negative hand impression. 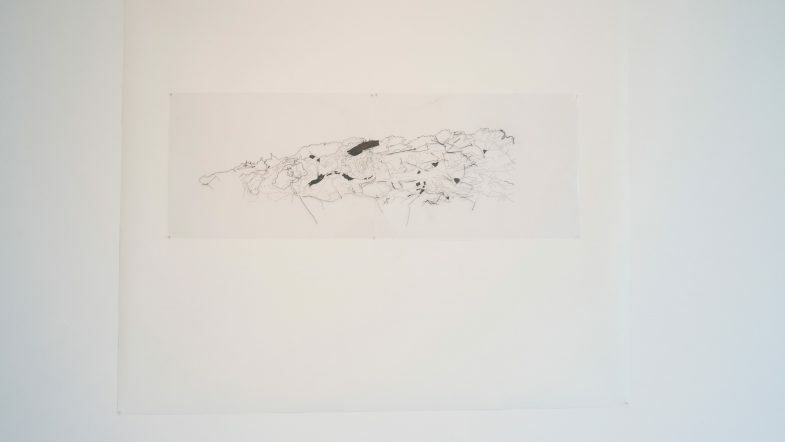 That hand, also present in another Cantabrian cave, the cave of El Castillo, seems to carry us into the moment in which the individual realized his existence –“I am here and now”-, but also to that very moment in which his own figure acquired dimension in relation to his environment, while trying to distinguish by the proportions of his own hands, the measurements of his body, and the extension of his surroundings. 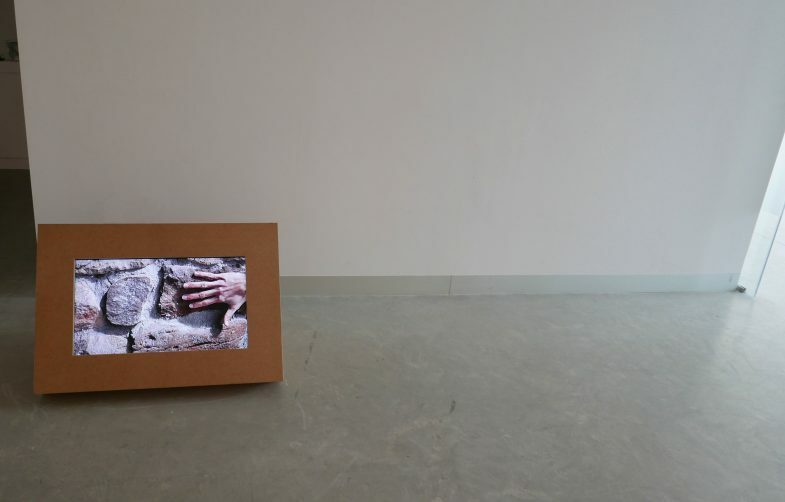 That interest in hands -halfway between representation, philosophy, and metrics, is formalized in a video presented by Barbara Palomino in this exhibition. 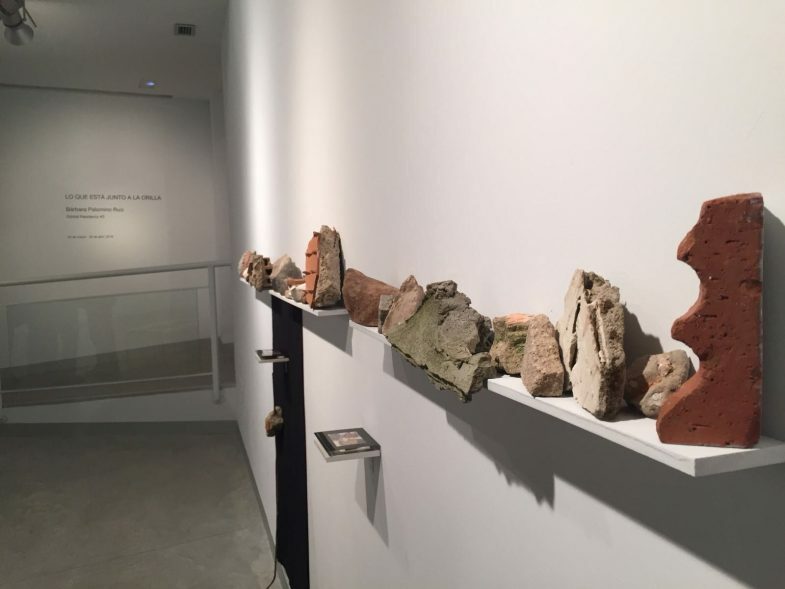 The second action takes us to the processes of present-day archeology, accounting systems (with hands and feet) and the affective memories as part of the landscape. 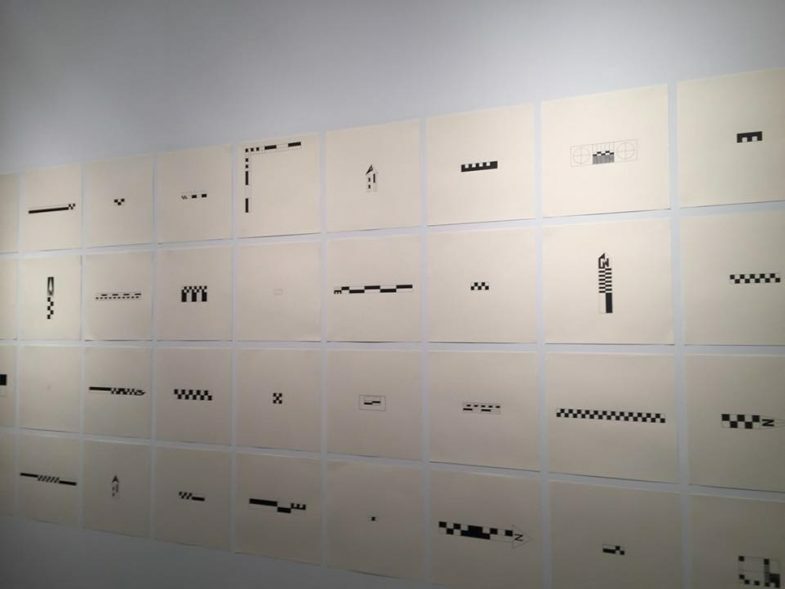 Inspired by these methods, Barbara Palomino creates a series of thirty monochrome drawings intertwined to the measurement systems that she constructs through a fictitious archaeological symbolism, and an expansive and non-linear narrative inspired by archaeological metrics tools. 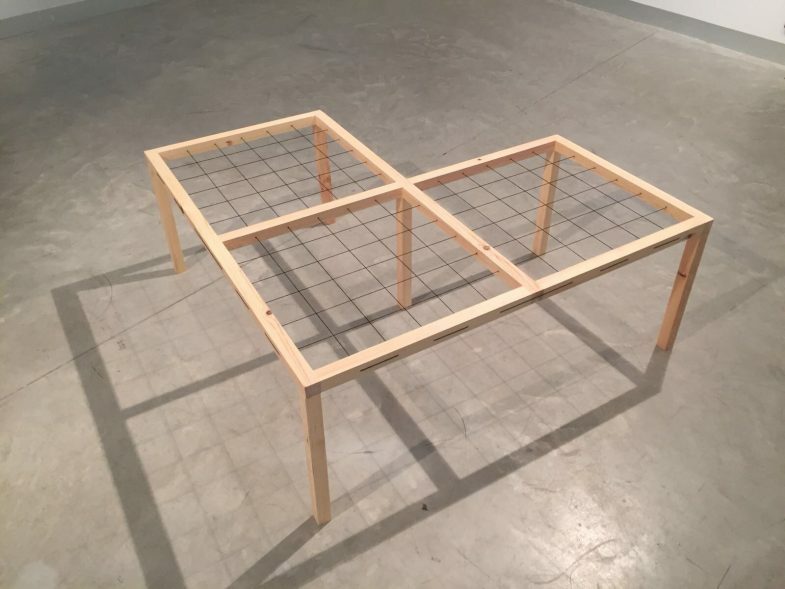 In a similar effort and from the representation of a scientific scenography, we find in the middle of the room a sculptural object that brings us closer to the concept of the grid, proportion, and delimitation of a research space. 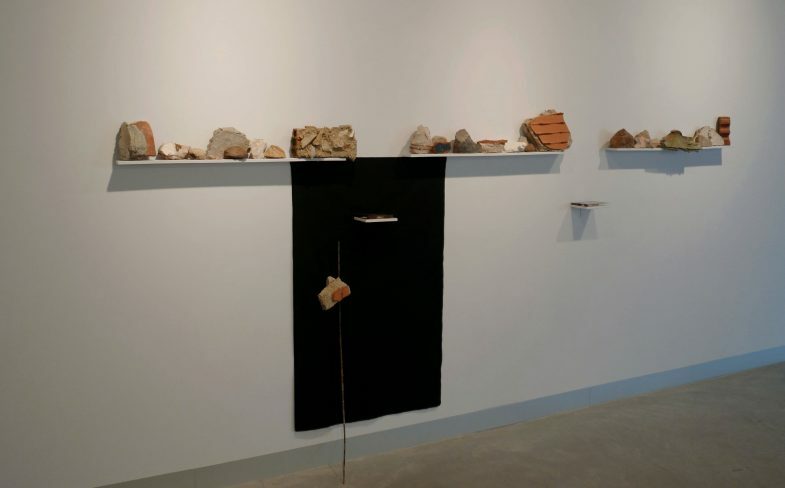 Additionally, Barbara Palomino creates different sculptural objects from stones, rocks, building materials fused with natural elements, remains found on the shore, belonging to the landscape that the artist has been collecting in her journeys and explorations that have been incorporated into her work process during the period of residence. 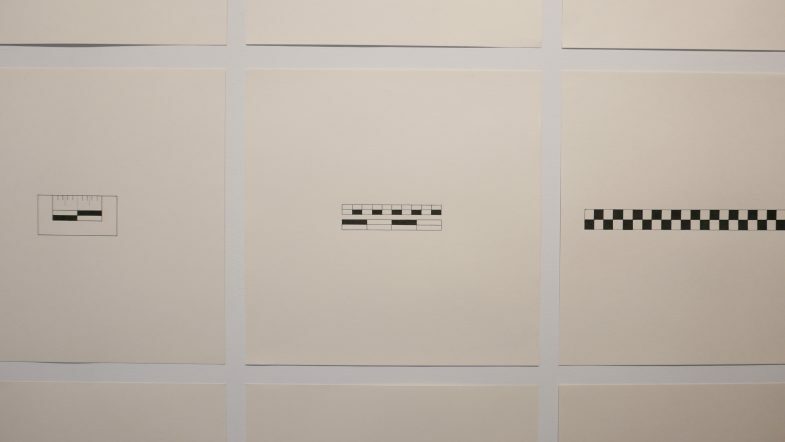 All these elements inevitably evoke human remains and tools of archaeological practice. 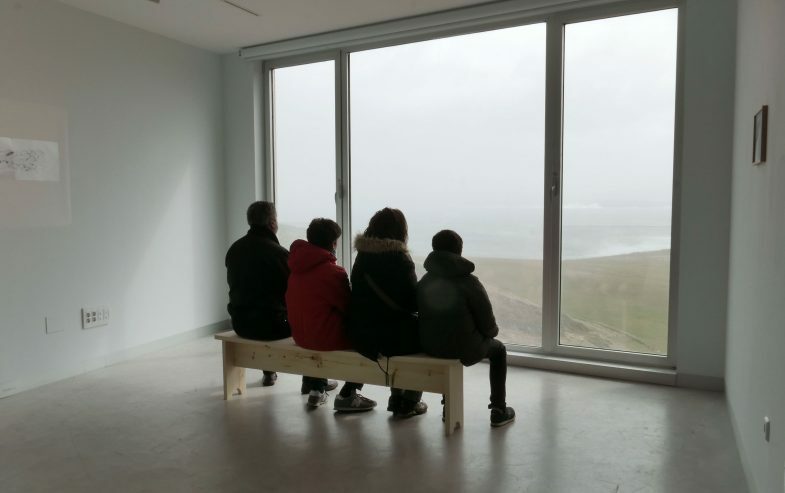 Lastly, the artist presents a “video in real time”: A window incorporated into the exhibition hall that is activated from the contemplation of the landscape and the idea of horizon so dear to her work. 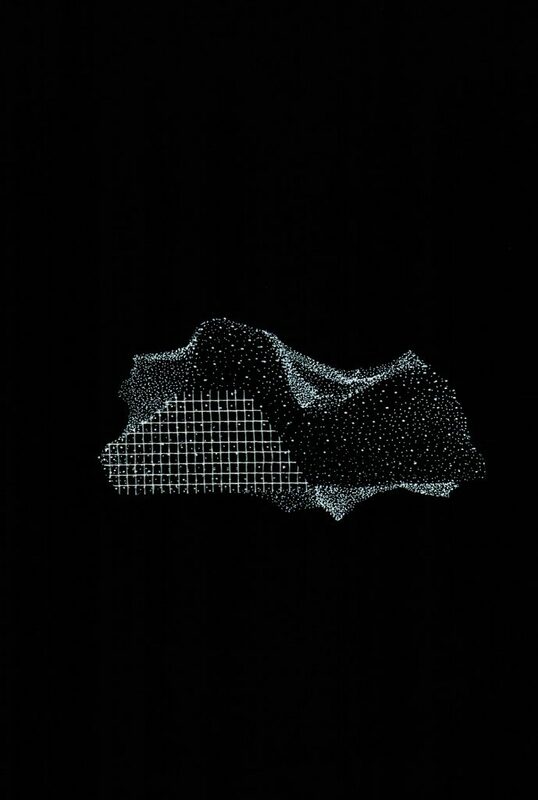 Ultimately, Lo que está junto a la orilla proposes a landscape scheme, memory and metric that through concepts such as “present-past-future” proposes a fictional story determined by physical and temporal delimitations condensed in an archeology of the present. 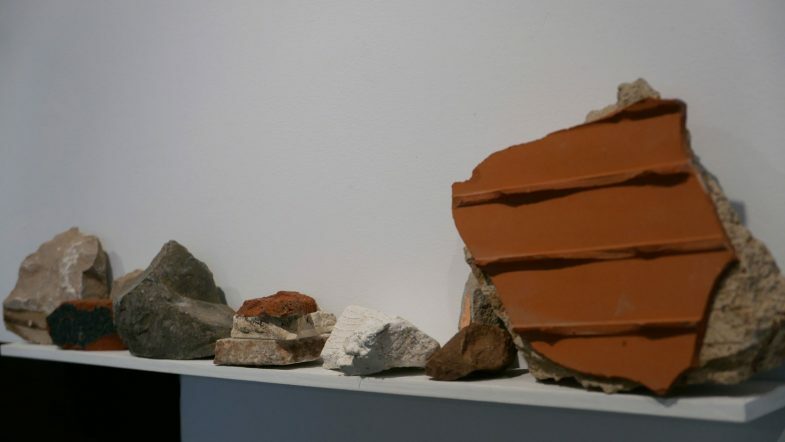 An accurate manner to influence and ponder over our environment, the strength of materials, waste, but also about the notions of edge and border. 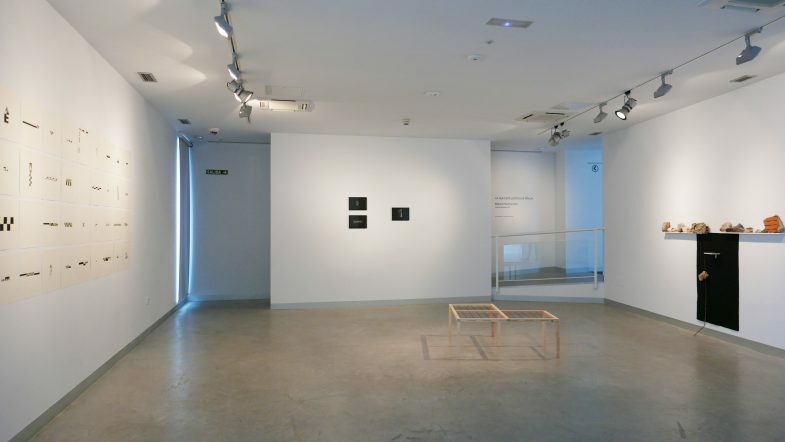 Exbition in Centro Arte El Faro, Santander, Spain.